Massively Multiplayer Online Role-Playing Game. Considering what the acronym stands for, one would think more MMORPGs would entail at least some form of roleplay. However, RPG has become near synonymous with increasing stats through levels and equipment. This has carried into MMORPGs. 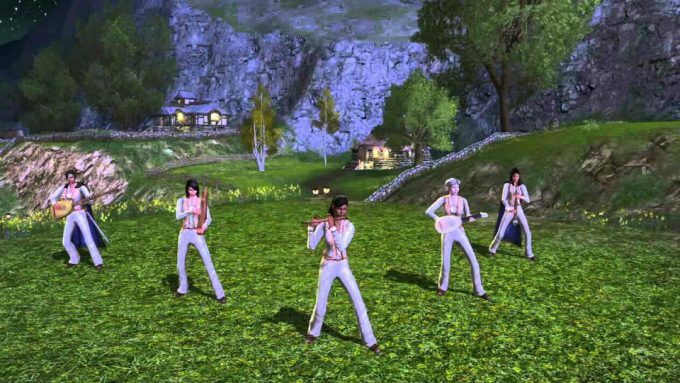 The primary content in an MMORPG isn’t designed around immersion and living an alternate life. Despite a much greater opportunity for roleplaying, the gaming aspect perhaps gets overemphasized. Of course there is nothing wrong with gamey features. Progression is a lot of fun. Many that play MMORPGs have a great need for achievement. Rewarding play with new abilities keeps a game fresh and compelling. Dungeons and Dragons, the prototypical roleplaying game, clearly understands this. But it’s able to do this in a way that doesn’t detract from players RPing. It accomplishes this through choice – every action is possible in D&D. Most MMORPGs are more linear, with a stepping stone progression. There also isn’t a Dungeon Master to help when the players do something ridiculous. So it’s understandable MMORPGs won’t match a tabletop session for roleplay potential. Despite these limitations, some titles do offer compelling virtual worlds in which to engross ourselves. Roleplaying can happen in such organic ways that players may not even realize what’s happening. That might be roleplaying in an MMORPG at its finest. Stopping to consider how your character would react can bring detachment from the world. True immersion arises from instinctively responding to situations because your motivations are so clearly understood. To be fair, that is a hard feat to accomplish. Players rarely receive opportunities to deviate from intended quest lines. In such linear MMORPGs, simply giving the opportunities and tools to engage in RPing can also be rewarding. The inherent social nature of the genre can feed interactions more absorbing than the simple numbers game of the loot treadmill. The point is that roleplaying comes in many forms. 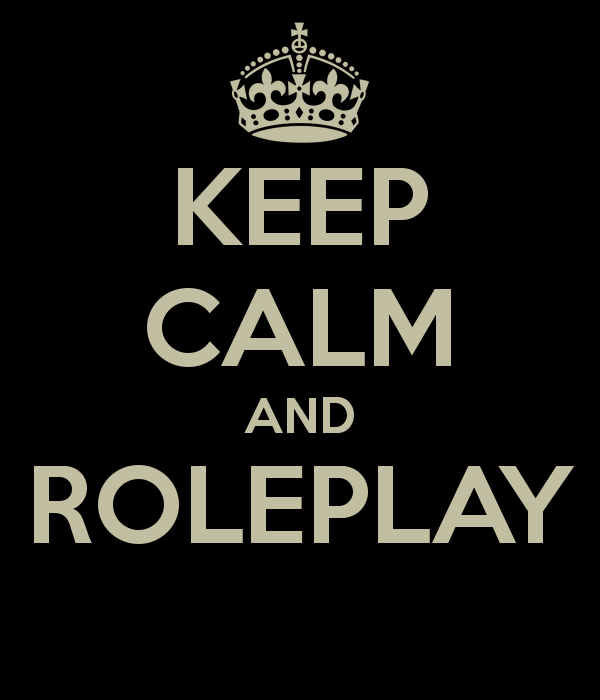 There’s active and passive RPing, group and solo RPing, and linear and non-linear RPing. So to it’s disingenuous to say one size fits all for MMO players seeking to add more roleplay to their lives. Below is a list of games that best fit the myriad of forms this activity encompasses. Many of these have even been played without its players realizing unintentional RPing was actually a huge component of the game’s enjoyment. Lord of the Rings Online (LOTRO) has three official roleplaying servers supported by Turbine. Unlike many MMORPGs that designate RP servers then throw them to the wolves, Turbine actually enforces a unique set of rules for LOTRO RP. The broad overview of these rules mandate lore enforced character names, in character usage of most chat channels, and harassment-free roleplaying. Trolls love to ruin RP server players’ fun, but LOTRO actually feels like a safe spot. There’s also a wealth of content for players that synchronize with their characters. Emotes, music playing, cosmetics, and community events all offer opportunities for the budding roleplayer. For those that want it to be, Lord of the Rings Online is more than just an ascent of power to conquer Sauron’s allies. Middle-earth is steeped in rich lore, but there is no prior knowledge of this lore to enjoy oneself. The community is very welcoming, as long as you’re willing to try. 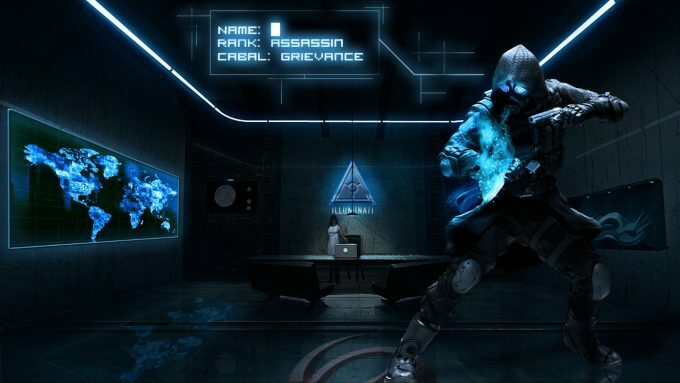 The Secret World (TSW) is one of those roleplaying games that forces you to roleplay without you even realizing it. This game has the best quests in the MMO genre with everything tied to the real world in a fantastical yet believable manner. TSW’s three factions offer a unique way of looking at the game world, and it’s hard not to feel enveloped in your organization’s machinations thanks to great storytelling. The game also provides other small group oriented options for more freeform roleplaying, but there are better options on this list for that. 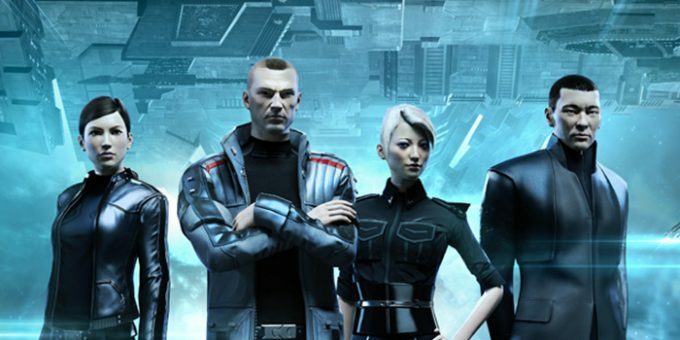 TSW proves roleplaying can exist without non-linear player choice. Now that One Tamriel is live in The Elder Scrolls Online (ESO), players have been presented with an impressive degree of freedom not seen before in a themepark MMORPG. The latest update for ESO scales the player’s level up or down to match the level of the area. That means players are free to take on whatever good or evil quests best fit their character. Though One Tamriel’s primary purpose is to enhance open ended exploration to match the single player Elder Scrolls games, it additionally enhances the game’s roleplaying. Prior to this update though, the roleplaying scene was already thriving in ESO. 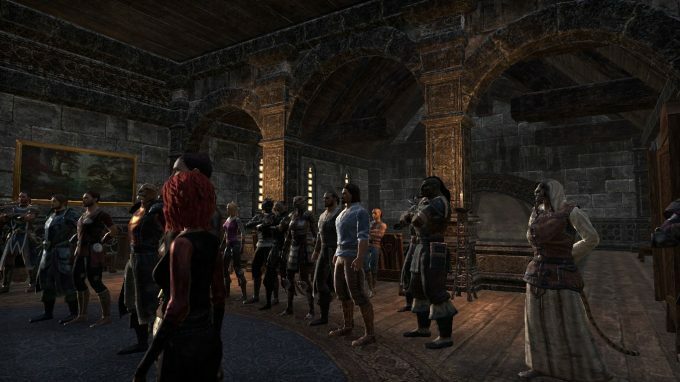 ZeniMax Online Studios, who runs ESO, actively praises and supports roleplaying. The game has one of the best community RP websites of any MMORPG. The social aspect is huge in ESO with giant guilds offering someone to roleplay with at all times. The first true MMORPG is still one of the greatest for roleplaying. 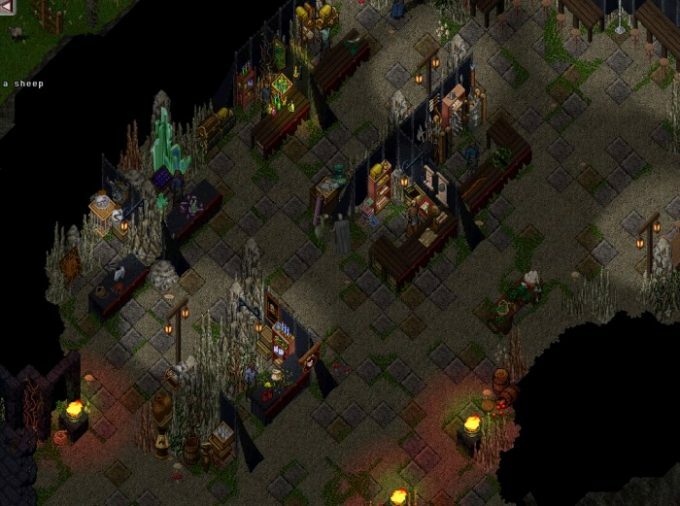 Ultima Online (UO) is all about player choice. From character creation to progression, there are so many options that it can be overwhelming for new players. It’s the only game I’ve been able to play where I didn’t feel bound to combat. Of course, I still enjoy combat oriented characters, but craftsmen, thieves, musicians, and animal tamers all have their place. UO isn’t a freeing as it was when first released due to rule changes that lessened PvP (and the ability to be truly evil), but expansion packs have dramatically increased the game’s content. This has granted players access to more interactions that fall in line an imagined archetype. RPing is so great in UO because it’s inherently woven into simply playing the game. I wasn’t sure whether or not to include Eve Online in this list. Yes, it’s a sandbox game with a ton of different skills to learn that are up to the player. Yes, the players effectively run the game world. Yes, player interactions are numerous at the highest and lowest level. But the problem is that the game boils down to acquiring power. Whether crafting, manufacturing, or killing, every character feels like they’re reaching for the same goal through different means. Still, there is more to Eve’s universe than space, stars, and ships. That the game can create such memorable narratives points to a strong roleplaying element. After all, why else do we roleplay than to create memorable stories for our characters? I maintain that choice is the most important attribute for roleplaying, and Eve Online offers it in spades. This may be a borderline addition given that RPing is not officially supported, but I feel Eve Online belongs. It’s not realistic to expect a tabletop roleplaying experience in an MMORPG. Maybe one day someone smarter than I will create such an innovative system. For now, there are still some good options for immersive play. While other games such as World of Warcraft, Guild Wars 2, and Final Fantasy XIV do offer their own quality roleplaying communities, they don’t get the job done quite like the above games. There’s certainly more to finding your top MMO than RP-ability but, for many, it’s an important start. This entry was posted in Immersion, MMO Opinions, State of MMOs, Top X Lists and tagged Elder Scrolls Online, Eve Online, Lord of the Rings Online, The Secret World, Ultima Online on November 3, 2016 by The Bro.